The Yamaha Course mate light tool carrier. Fully electric Transporter specially equipped for work on the green. Equipped with light linkage with quick change for several tools. 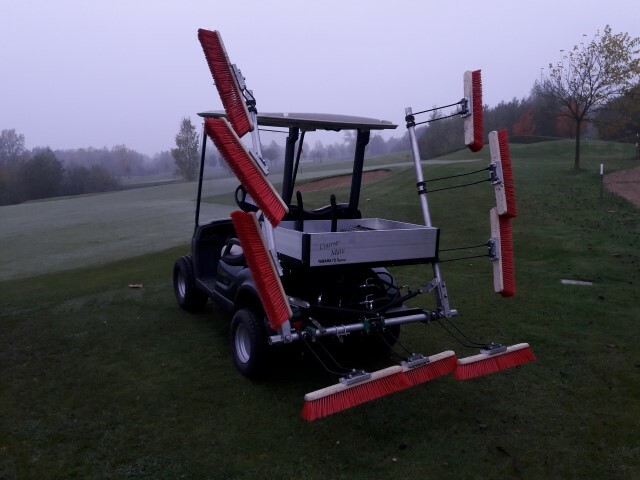 Equipped with the Dew sweeper / Sweeper with a working width of 490 cm, transport width 180 cm, fully electrically operated. Call or mail for info.